Sara White received both her bachelor’s and master’s degrees from the University of Oklahoma. While in graduate school, she received the Outstanding Clinical Nursing Practice Award and was inducted into the National Honor Society of Nursing, Sigma Theta Tau. 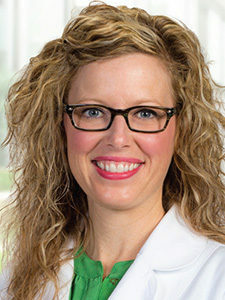 After more than 12 years of oncology experience, White joined the team at Oklahoma Cancer Specialists and Research Institute and now works with the Gynecology Oncology Surgical Department. White is a co-chair board representative for the American Cancer Society. She remains a Clinical Assistant professor for the Department of Medicine at the University of Oklahoma and an Adjunct Clinical Instructor.